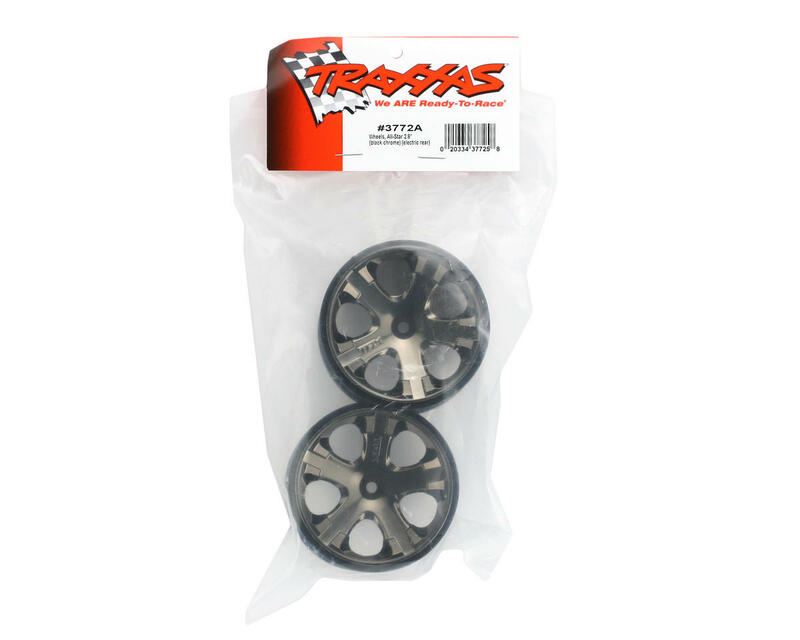 This is a pack of two Traxxas All-Star 2.8 Rear Wheels. 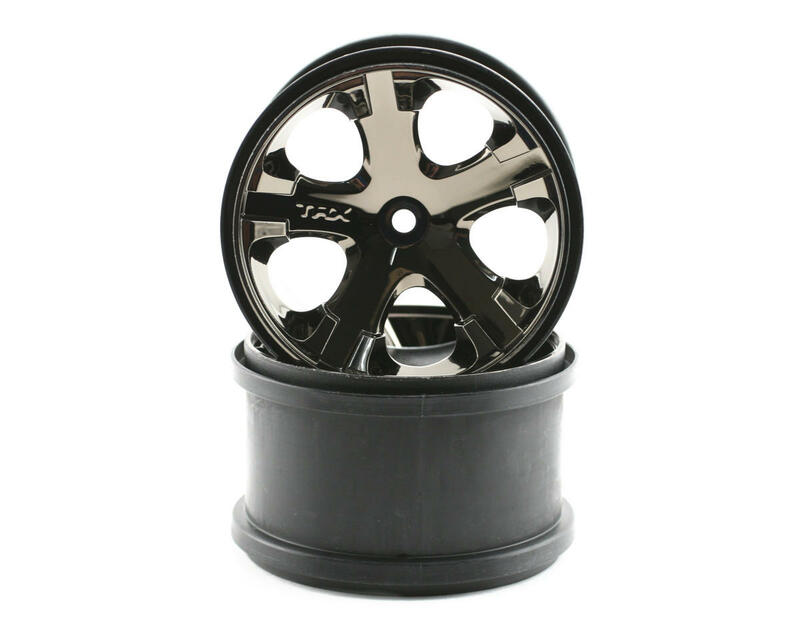 Traxxas’ 2.8" All-Star wheels redefine looks and convention by combining structural strength and futuristic stylings. The state-of-the-art design features a brilliant mirror-chrome face. The horizontal bead helps grab the tire, reducing the stress placed on the glue joint by tire expansion.